Three weeks from today, the first of the Summer 2015 Asbury Hills campers will be checking in for their week of camp. We have tried to make this process as smooth for our families as possible, but it does sometimes make it easier when families know what to expect. The first station you will come to is our greeter station. This is located at the entrance gate at the top of the hill. 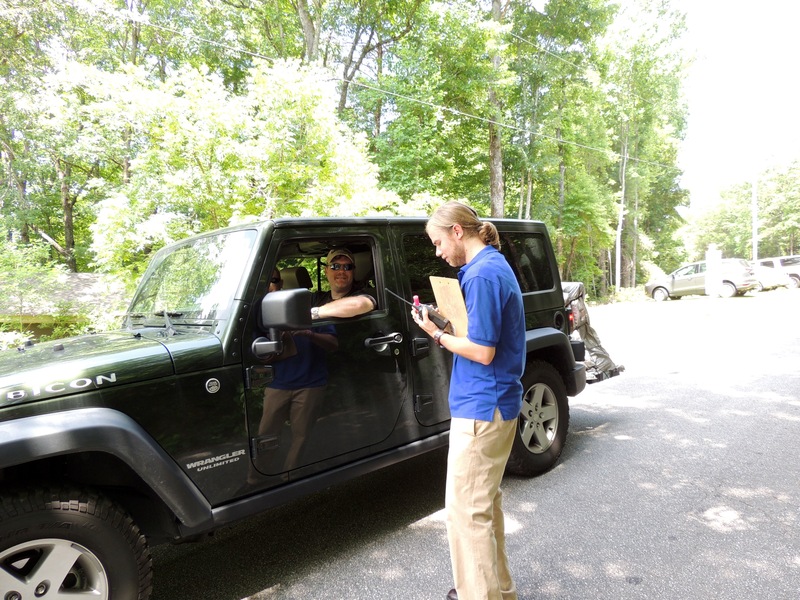 Here, we will want to know how many campers are in your vehicle and what their names are. This information gets radioed down to the card tent. 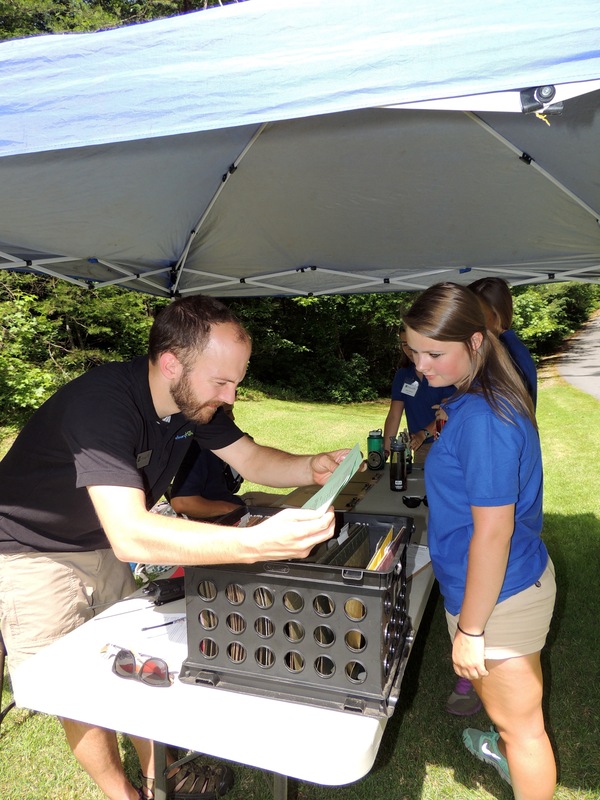 The card tent is your next stop in the check-in process located a little further down the hill. 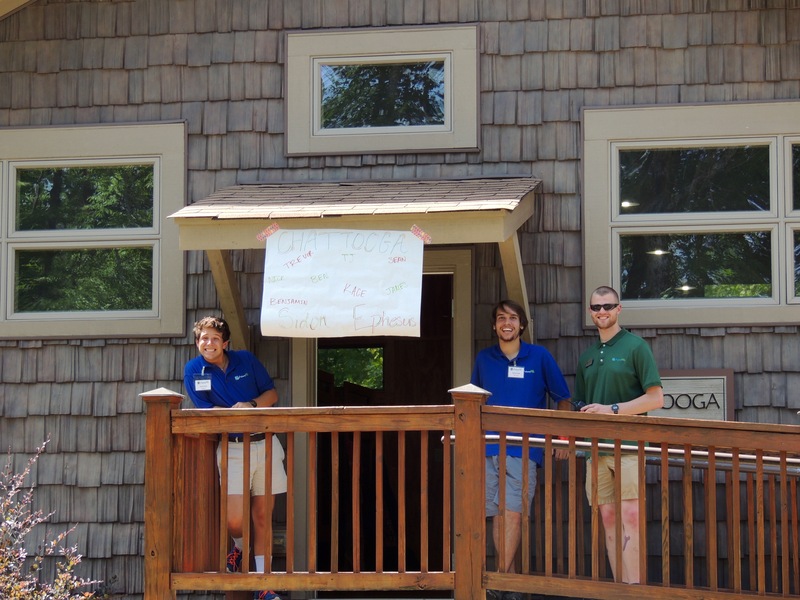 These staff will have your camper(s)’ Green Cards in hand to greet you in your car. These Green Cards are VERY important. 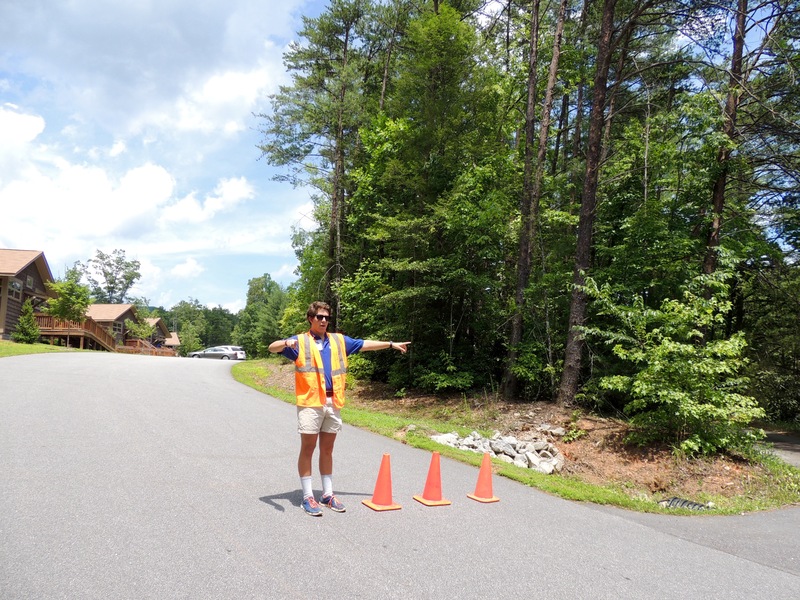 They tell our staff which camp your camper is registered for, which cabin they will be staying in, if they have a balance, if they are missing forms, if they have medications, etc. There are also last minute questions on the back that our staff will ask you to see if any information has changed since you sent in your forms. If you do not have a balance or medications, we have received all necessary forms, and nothing has changed on these forms, you will be directed to your cabins or lodge. If you do have medications, a balance, missing forms, etc; a staff member will place a red card on your windshield to tell our traffic attendants to direct you to the MASH unit. If you need to stop by the MASH unit, please have your Green Card handy, as it is what the staff member who greets your car will need to see how we can best help you. 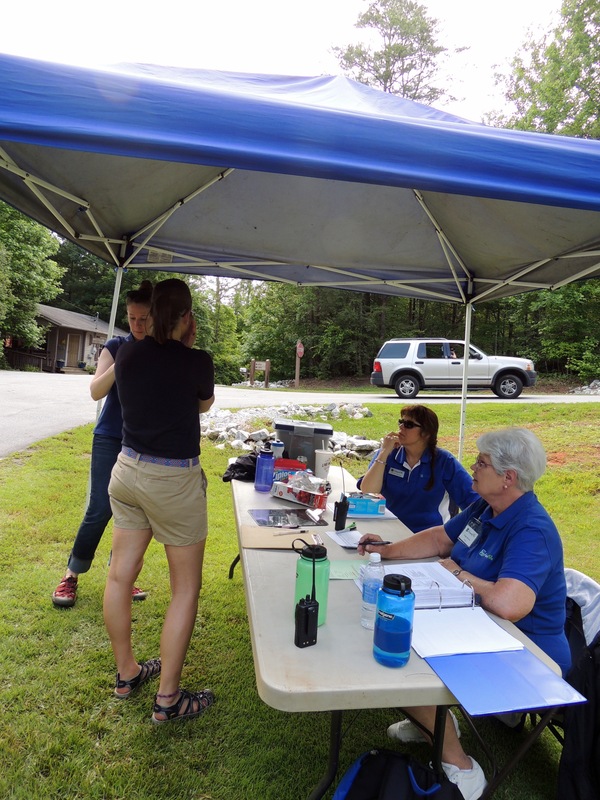 If you have stopped because of medications, our nurse will be at the tent to review them. Please have medications in their original prescription bottle and somewhere easily accessible. It takes extra time if you need to dig through luggage to find medications. The next stop on the way is the most exciting – your camper’s lodging. We have two pods of cabins and Rice Lodge. There are traffic attendants along the way to direct you where to go and help you park. Staff members are also available if you need help unloading luggage. Remember again to have your Green Card handy. Your child’s counselor will collect them as you arrive. 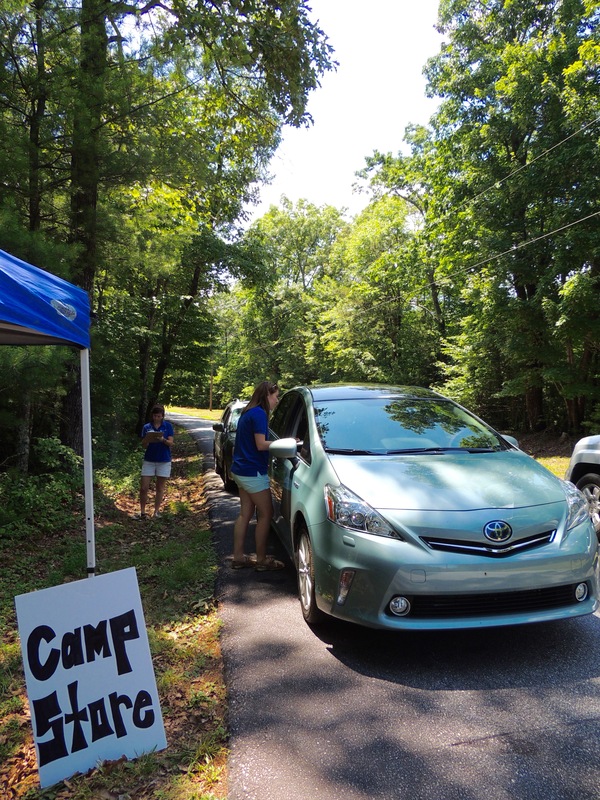 Parents will have a chance to meeting their camper’s counselor, ask questions, and move luggage into the bunks before heading back down the mountains. But before completely heading home, the last stop is our Camp Store tent. This is the place where you will be able to leave money for your camper to spend at the store during his or her week of camp. It is also a great place to drop off pillows or toothbrushes you may notice in the backseat after you left your child’s cabin. They’ll be sure they get to the right place.